Severe burn injuries are rare and leave many survivors feeling alone. 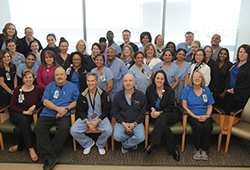 In the Dallas Post Tribune, Stephanie Campbell, RN, Burn Program Manager at the Parkland Regional Burn Center and burn patient Cindy Grimes describe the importance of aftercare programs and how Parkland's RISE program creates a community for burn survivors. 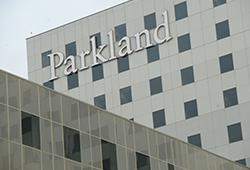 Influenza has already claimed the lives of four Dallas County residents. 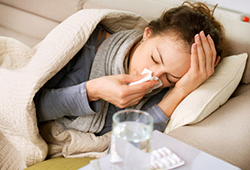 Symptoms of the flu are similar to those of the common cold. The only way to know if you have the flu is to visit a doctor. Gilberto Salazar, MD explained to Al Día Dallas the difference between cold and flu symptoms along with the importance of flu vaccinations. Taking care of your health is important, especially if you are pregnant or planning to become pregnant. Martha Maldonado from Dallas Healthy Start sat down with KXTX-TV (Telemundo) to share information on how to prevent birth defects.